Thank you for stopping by and considering Henry Golf Tours, we look forward to helping you plan your perfect dream golf vacation. 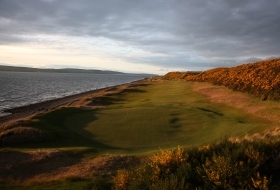 Founded by David Henry in 2001, Henry Golf Tours provides specialist travel services to the most popular and outstanding golf courses and destinations in Scotland and Ireland along with all the hidden gems golfers want to include. We offer fully customisable tours based on your requirements and we also have suggested packages on our website for those looking for some extra ideas. We work with all our clients to tailor their schedule to suit all their preferences and make their trip a unique and precious experience. Throughout our website we aim to inspire golfers to explore the endless possibilities for Golf Vacations to Ireland and Scotland. With trips featuring world class golf courses and tours including our lesser know hidden gems there is something for every avid golfer. Based right at the centre of Ireland’s world renowned links golf courses Henry Golf Tours has options for small & large group travel, couples trips and individual golfers, along with corporate travel. With years of experience in the golf industry David and his dedicated management team have a vast and comprehensive knowledge of Golf Vacations to Ireland and Scotland. Over the years we have built up firm relationships with all the Golf Courses, Hotels and Transport providers throughout Ireland and Scotland and we use this to help our clients plan their ideal vacation. You have many choices and considerable flexibility with as much or as little rest & at leisure time as you want! David Henry established Henry Golf tours in 2001 on his return to Ireland after making the USA his home for 15 incredible years. While living in New York David enjoyed playing some of the great golf courses on the East Coast of America including Wingedfoot, Bethpage and many more. When he and his family moved back to Ireland David realised there was a market for American and International golf enthusiasts wishing to play Ireland’s and Scotland’s world famous Links Courses and he went on to set up Henry Golf Tours which has become one of the most trusted names for Ireland and Scotland Golf Vacations. 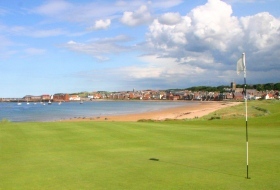 The business has grown over the last 17 years and has many repeat golf groups large and small. 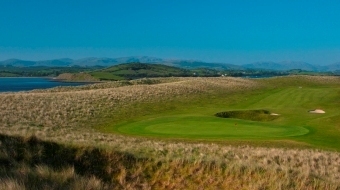 One of the main focuses is on private golf groups coming to play the unique and fabulous Links Courses so famed in Ireland and Scotland. 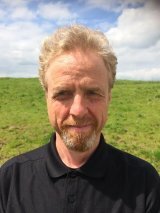 David himself is an avid golfer and while on his downtime enjoys getting out to play some of the great Links Courses including the splendid tests of golf that are Lahinch, Waterville, Royal County Down, Royal Portrush and Portmarnock to name a few. Working in the golf travel industry since 2001 Rosa has built relationships with the golf courses and hotels throughout Ireland and Scotland. 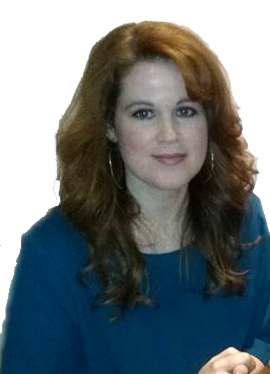 Having joined the team at Henry Golf Tours in 2015 she works closely with all our customers to put together their ideal golf vacation and she also puts together our sightseeing tours and the non-golfing aspects of tours. A veteran of creating and managing the perfect golf trip Rosa’s attention to detail will ensure your experience is the best it can be. She is always delighted to have the chance to meet for an Irish Coffee and say hello in person during the tour, putting faces to the voices and names, and checking all is going to plan. Rosa has the expertise to work with the vaguest and fullest of briefs for a personalised tour and she will be on-hand throughout the planning process and also while you are on your holiday. She also believes it is never to early or too late to start planning your dream vacation and is always happy to work with last minute tour requests as well as those planning well in advance.